A compilation of the best work of the recently rediscovered short story writer Lucia Berlin. The emotions in A Manual for Cleaning Women are maximalist, but the language is sparse and unadorned. Sentences are fragmentary, sometimes just single words. They turn on the sudden flash of an image, not the elegance of the construction. The language is so precise that it paradoxically creates ambiguities ... she never found a large number of readers — perhaps because she resided on the margins of the literary world, or perhaps because of the uncompromising, unsanitized nature of her writing. Berlin’s stories are full of second chances. Now readers have another chance to confront them: bites of life, chewed up and spat out like a wad of tobacco, bitter and rich. Loneliness and shame creep through stories set in hospitals, detox clinics, old people’s homes and prisons, but despite the frequently bleak territory Berlin’s writing is characterised by an enormous appetite for life, for humour and for love ... Berlin’s style is direct, reaching out from the page to the reader. You might be fooled into thinking you’re reading letters from a friend when she drops in lines such as 'I know, I romanticise everything', or 'I exaggerate a lot and I get fiction and reality mixed up, but I don’t actually ever lie.' But this almost chatty style is undercut by brutal one-liners and swift reversals that, along with skilful narrative shaping, remind you that these are painstakingly crafted stories. 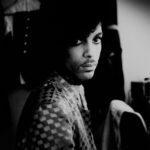 Rather than dwelling on the difficulties faced, or chasing after illusory solutions, Berlin’s characters sit with their challenges, move quietly toward their difficulties and find a way to keep standing on their slick and tilted floors ... Through measured use of sentence fragments, unexpected word choices and fascinating juxtapositions, Berlin’s stories embody rather than merely describe the challenges faced by her marginalized narrators and protagonists ... Unlike the chiseled tales of her contemporary Raymond Carver, to whom she has been compared, Berlin’s beautiful, rangy prose builds into unpredictable shapes that speak of the sprawling rural and urban western and South American landscapes that fueled her imagination. 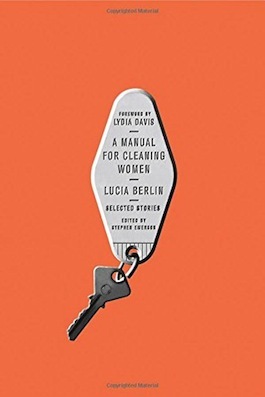 What did you think of A Manual for Cleaning Women?